Abu Dhabi: Doctors have advised below-the-knee amputation for Adelardo. Amputation is not the answer, however, he said confidently. Faith is. 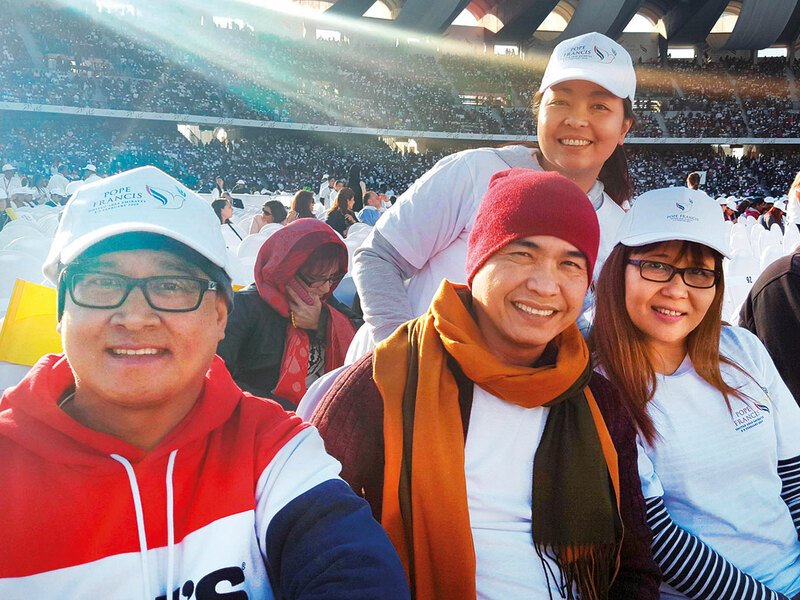 If there’s one request Filipino expatriate Adelardo would say to Pope Francis at the Papal Mass on Tuesday, it was to seek prayers of healing. “Doctors have lost hope on my case. They wanted to amputate my leg below the knee. I said no. I know my faith will heal me,” Adelardo, who works as an accountant at Dubai’s Department of Tourism and Commerce Marketing (DTCM), told Gulf News. In 2018, Adelardo was diagnosed with Synovial sarcoma in his right foot, a type of soft-tissue sarcoma that affects about one to three individuals in a million people. He wanted to come to the mass to seek the Pope’s blessing but failed to get tickets on time. But God sent help. Helal Saeed Al Marri, Director-General of DTCM, arranged for VIP Tickets and transportation for Adelardo and his four colleagues to make sure they don’t miss the pope’s blessing. Physical healing is also the heart’s desire of Yuriko Barrieses, a 16-year-old Dubai resident who has spina bifida, a birth defect where the spine and spinal cord did not form properly. “My prayer is for the Pope to pray for healing for my legs and spine. I want to be able to walk,” a cheerful Yuriko told Gulf News. Yuriko has defied many odds since birth, Michi, her mother said. 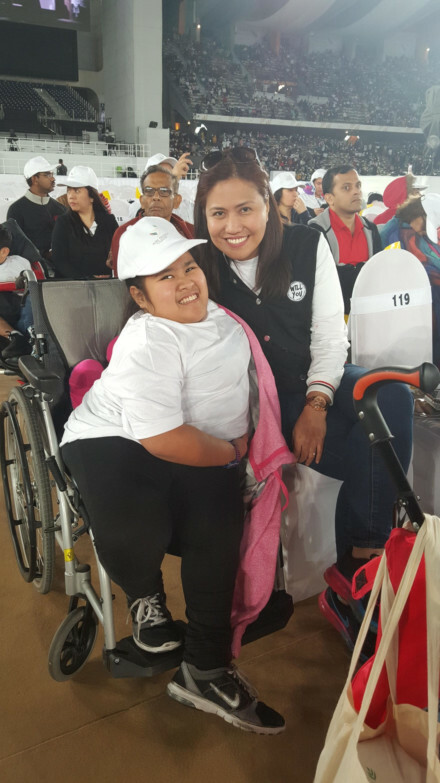 Though Pope Francis did not get the chance to bless them personally on Tuesday morning, the mother and daughter duo are still confident that his prayers of blessing for everyone at the mass will eventually lead to Yuriko’s physical healing.